French paisley patterns, bold and lush greens and a hint of citrus. We planned a french inspired dinner for the opening night of Minnesota Opera's La bohéme. We curated a romantic setting with very masculine details in order to give the event a delicate feel, while allowing for minimal bold contrast. The emerald green walls and complimenting curtains encouraged the delicate florals to pop on a monochromatic canvas. 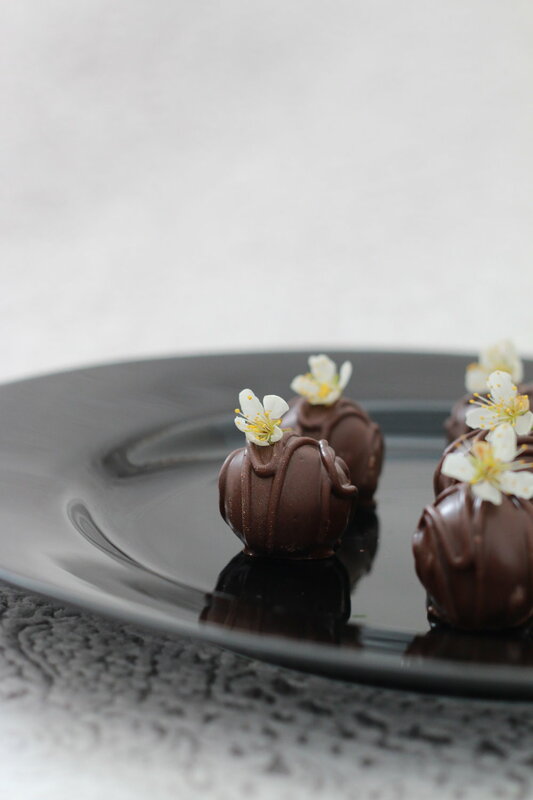 Dark chocolate and orange blossom truffles were a perfect way to end an early summer's dinner.